Luxio in game: 400 Who? Important notice! Pokemon Luxio is a fictional character of humans. Luxio (Japanese: ???? 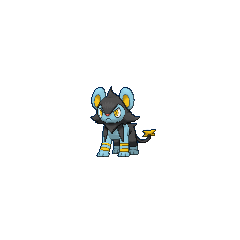 Luxio) is an Electric-type Pokémon introduced in Generation IV. In A Campus Reunion!, Clemont captured a Luxio. He evolved from a Shinx before the episode. In The Future Is Now, Thanks to Determination!, Luxio evolved into a Luxray. Luxio first appeared in the first Diamond & Pearl seriesmovie, The Rise of Darkrai. It was among the Pokémon in the garden. 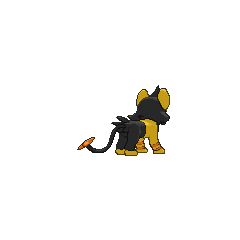 Luxio seemed to be shy, as it hesitated before it ran to Ash and his friends' Pokémon. It participated in the short-lived massive fight. In Leading a Stray!, a Luxio helped a Wailmer that was trapped in the sewers and the Wailmer made it back into the ocean safely and evolved into a Wailord. It also made a brief cameo at the beginning of Giratina and the Sky Warrior. Another Luxio appeared in Sticking With Who You Know!. A Trainer's Luxio appeared in A Marathon Rivalry! participating in the Pokéathlon held in Camellia Town. A wild Luxio attacked Diamond, Pearl, and Platinum on their journey. 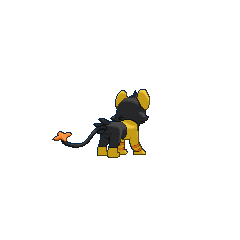 Due to its broken claws, the Luxio was unable to communicate with its group and was shunned by them. In an attempt to regain its group's favor, it battled with Diamond's Pokémon. Pearl eventually managed to get its comrades' trust and befriended the Luxio. Later, it evolved into a Luxray and joined Pearl's team after being named Rayler. 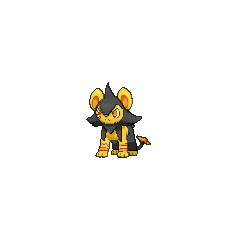 Hareta's Shinx evolved into Luxio after defeating B-2 on Iron Island. Its Trainer attempted to use it against Cyrus's Gyarados at Lake Valor, but it was instead ambushed by Saturn's Rhyperior, who had been revived after being knocked out. Later, it evolved into Luxray during Hareta's Pokémon League battle with Koya. 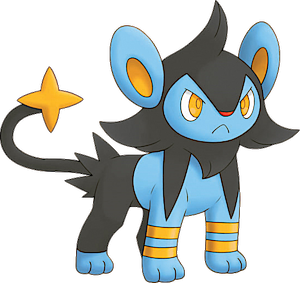 Luxio is based on an adolescent lynx or lion. 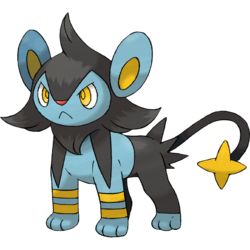 Luxio is a combination of lux (Latin for light) and a corruption of leo (Latin for lion). Notably, the Karnak temple complex in Luxor, Egypt has a famous avenue of sphinxes.